This dining table was a tough table to build. 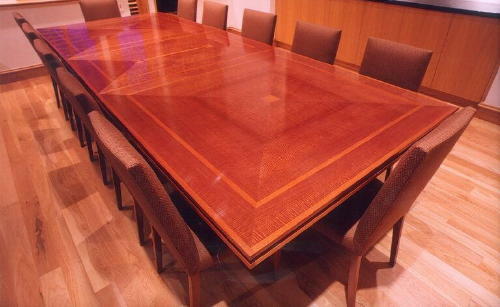 We were asked to build this dining table so it could stand alone as three seperate tables or join together and create one. 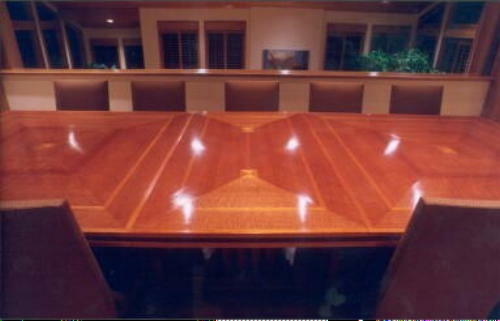 The key was that when the tables were not joined together, they had to look like they were not suppose to be joined together. When they were joined together, they had to look like one big table. Each section has a pedestal and each pedestal mimics the others. The important part is that we managed to come up with a design that worked and fourteen years later, the owners still have and use the table.